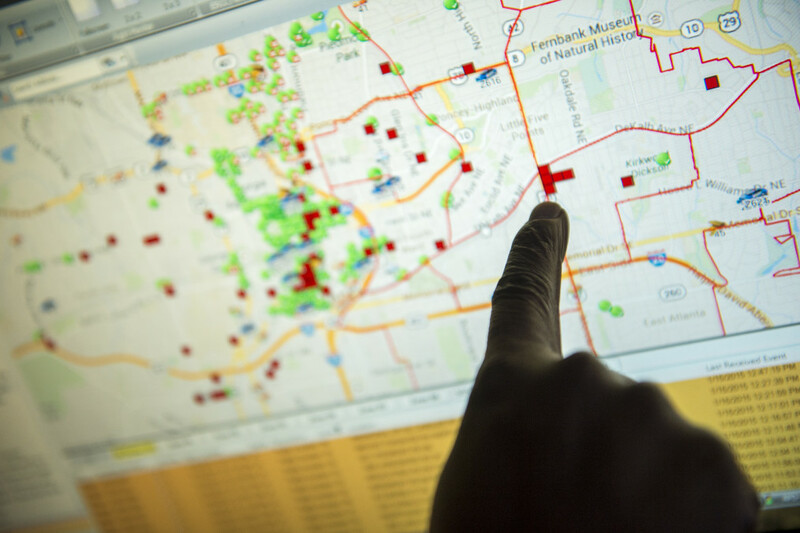 The Atlanta Police Department displays a city map through PredPol’s predictive policing program. Arizona could jump to the forefront of computer-aided policing if lawmakers approve a bill that would authorize spending $2 million on predictive policing technology. Predictive policing is widely projected as the next major advance in law enforcement. Blue chip technology firms like IBM Corp. and Microsoft Corp. have made forays into the field, along with well-publicized Silicon Valley startups like Palantir Technologies and PredPol as law enforcement departments around the country experiment with such analytic software. If Arizona’s House of Representatives passes the appropriations bill, the state would be the first in the nation to devote funds toward predictive policing. To date, only individual police departments have purchased crime-forecasting software. The pilot predictive policing projects are slated for the Phoenix, Mesa and Lake Havasu City police departments. Republican state Sen. Steven Smith, who authored the bill, said in an interview that its intent is to see how predictive policing technology would work in large and medium urban settings, as well as in a rural community like Lake Havasu. The proposed legislation has the support of the Arizona Police Association, the state’s foremost law enforcement lobbying group. The funds would come from a subaccount for the Arizona Department of Public Safety’s Gang and Immigration Intelligence Team Enforcement Mission, otherwise known as GIITEM, a multiagency, state-level law enforcement task force that targets gang activity, immigration enforcement, drug smuggling and human trafficking. 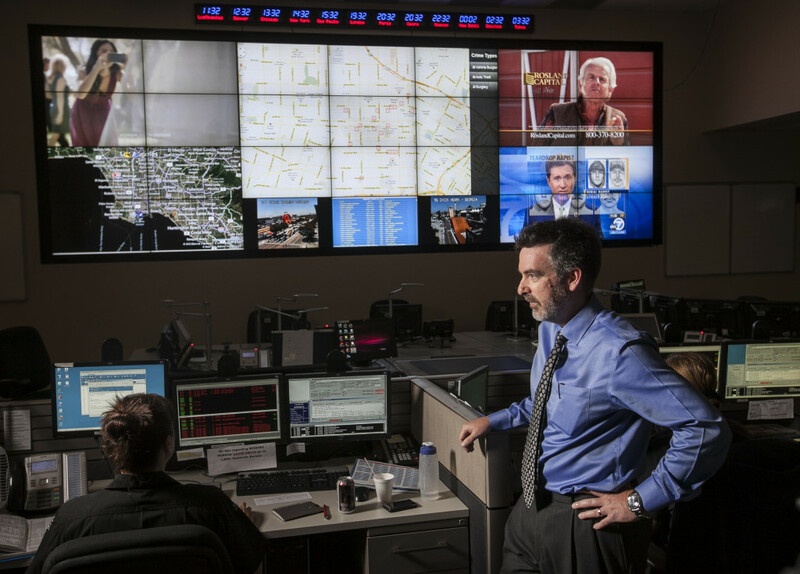 Smith told Reveal that predictive policing technology would help Arizona’s hamstrung law enforcement agencies – Phoenix alone has lost 700 police officers in recent years. “We want a broader initiative to help law enforcement talk better to each other in a time of budget constraints,” Smith said, adding that the software would draw on three to five years of crime statistics and information from several sources, including Arizona’s gang database. Smith’s bill passed through the Senate with a 27-3 vote on March 5. Democratic Sen. Martin Quezada, who voted against SB 1293, told Reveal that he was dubious of the technology, which he believes singles out specific groups of people. “The conservative wing of this Legislature has long sought out unique and creative ways to target low-income and Hispanic communities, and to me this program looks like more of the same,” Quezada said in reference to the bill’s intent to use crime forecasting to crack down on gang activity. Quezada believes the main contender is PredPol, a Santa Cruz, California-based startup run by UCLA anthropology professor Jeff Brantingham and politically connected individuals with ties to some of Silicon Valley’s biggest names and national leadership of the Democratic Party. 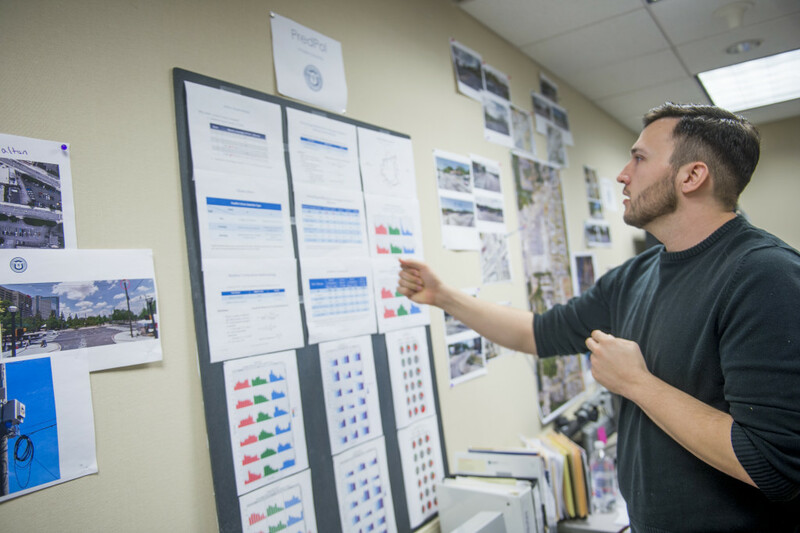 An algorithm, the exact nature of which is a proprietary secret closely guarded by PredPol, processes the inputted data and spits out 500-by-500-square-foot boxes on a map of the city that indicate higher-risk areas. Police can access the program through a Web browser and navigate maps, toggling different crimes. Smith denied that the bill was intended to steer the contract to PredPol, saying the vendor would be determined by a request for proposals issued by the Arizona Department of Public Safety. “We might find that there’s a myriad of companies that do this work,” Smith said. A public safety department spokesman told Reveal that the agency does not comment on pending legislation. However, there are doubts about PredPol’s ability to accurately predict violent crime and gang activity. Andrew Guthrie Ferguson, a law professor at the University of the District of Columbia who researches crime forecasting, told Reveal that PredPol has not done gang or shooting predictions. Like Quezada, he also suspects the Arizona legislation is being crafted with the intent to award PredPol the contract. “There are tensions between the bill and what PredPol actually does,” Ferguson said, adding that PredPol’s claims about decreases in crime focus on property crime rates and have not been independently analyzed. “The only objective study I’ve seen of predictive policing is the Rand Corp. study of Shreveport, Louisiana – they found there was nothing statistically significant about it,” Ferguson said. PredPol did not respond to questions about whether it had been consulted to craft the Arizona legislation. In an email, marketing manager Ben Hoehn wrote that PredPol’s predictions do not focus on individuals. “Since PredPol does not collect, upload, analyze or in any way involve any info about individuals or populations and their characteristics, it does not pose any profiling or personal privacy concerns,” Hoehn wrote. The bill is currently with the Arizona House Appropriations Committee and will be heard during today’s session. This story was edited by Fernando Diaz and copy edited by Sheela Kamath. Ali Winston can be reached at awinston@revealnews.org. Follow him on Twitter: @awinston.